All Pakistan Muslim League (APML) Chief and former president, Pervez Musharraf, has said that it is unfortunate that the Organization of Islamic Conference (OIC) has become functionless and has failed completely in protecting the rights of Muslims being victimised across the globe. In an interview on Sunday, Pervez Musharraf said that the massacre of Burmese Rohingya Muslims is condemnable but international human rights champions are playing the role of a silent spectator over their plight. He warned that if the injustice against Muslims continued, it will result in an imbalance of power, which could be a serious threat to global peace. 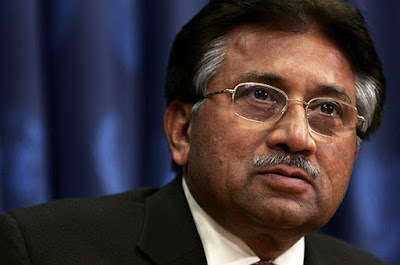 Responding to a question, Musharraf said that Pakistan is capable of responding to Indian threats as it proved during the Kargil war. He said that India blames Pakistan but it itself was engaged in stopping water of Pakistan’s rivers by illegally constructing dams, which could not be ignored. He urged those responsible to respond to the Indian allegations and threats through diplomatic channels. Resolution of Kashmir and others issues with India are in the national interest and the government of Pakistan should not prefer trade with India over these issues, the APML chief added. Musharraf said that during his rule the country was financially strong as it refused to accept aid from World Bank (WB) and International Monetary Fund (IMF) but now Pakistan is facing a serious economic crunch, which has weakened the position of the country in the international community. To a question regarding lawlessness in Karachi, he said that the presence of political, religious extremists in the metropolis was the root cause of the disturbance in peace. The APML chief claimed that during his era the National Accountability Bureau (NAB) recovered Rs 320 billion and helped poor masses to get their looted money back.